This spring, the Bender JCC was awarded a grant through the Meals on Wheels 2016-2017 Subaru Share the Love program. Funds will be used in part to provide seniors who have limited mobility with assisted transportation to and from our Selma Sweetbaum Senior Satellite Nutrition Program (Senior Satellite Program). The Bender JCC’s Senior Satellite Program fills a critical gap in services for senior adults throughout Montgomery County. In addition to providing hot, nutritious kosher lunches, the program offers health and wellness opportunities such as exercise classes, blood pressure screenings, discussions, lectures and social programs to engage and stimulate the mind and spirit and an opportunity to connect individuals with one another within a Jewish community setting. …Providing reliable and safe transportation is extremely important in helping seniors aging in place. We have a number of program participants who have ceased driving in the past several years and for whom transportation to our sites is now a constant challenge. By the end of our program year, we estimate that we will have provided approximately 550 roundtrip rides. 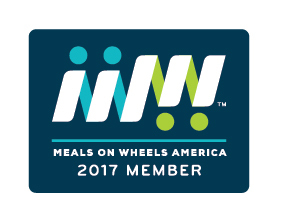 It is only through financial commitments from funders like the Meals on Wheels Foundation of America and their partner, Subaru, that we can offer this service as a part of our program, reaching seniors at a time when they are most in need of these services. “Just because I’m blind doesn’t mean I can’t see what’s important,” says Lee Greenwald, 91, a regular participant in Bender JCC’s senior adult programs. 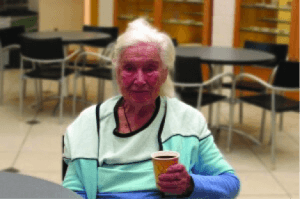 A Bethesda resident, Lee used to take public transportation to the Bender JCC. Now that it’s harder for her to get around due to her vision impairment, she appreciates the specialized “door-through-door” transportation service funded by Bender JCC that enables her to attend activities here twice a week. Lee enjoys all aspects of the Bender JCC’s senior adult program, from chair exercise to a delicious hot kosher lunch to entertainment by talented performers. She’s also thinking about taking a ceramics class here. For Lee, it’s really about getting out of the house and meeting new people.